Torrential downpours have caused devastating floods in several central and eastern European countries. At least 10 people have died in the Czech Republic and hundreds of people have been moved to safety due to rising floodwaters. The deluge also hit Romania, where four people were injured by lightning during a heavy storm north of Bucharest, with heavy flooding also reported in several regions of Austria, Germany and Poland. In a TV interview, Czech Prime Minister Jan Fischer assured the public that the situation is 'under control'. Mr Fischer confirmed that the flood had claimed at least nine lives, including five drowned as rivers burst their banks. Later on afternoon, the CTK news agency reported a 10th victim, a homeless man who had drowned in a brook near Novy Jicin in the east of the country. Several people are still missing. Over 1,000 Czech troops have been mobilised to help clean up after the flooding. The Czech government said it will earmark 54m koruna (€2.1m) for the affected region where the floods have closed many roads and railways and have cut off power supplies to whole towns. 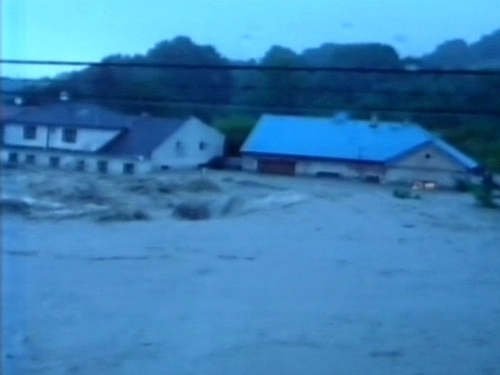 The town of Novy Jicin, with population of 26,500, has declared a state of emergency. Across the border, Poland has declared a flood alert after downpours that hit the south and northeast of the country during the night. About 50 families were evacuated in the Kracow region, while in Upper Silesia water flooded a railway station, disrupting traffic. In Lower Silesia, a river has flooded several villages. The situation in Bavaria in southern Germany has begun to improve as water levels decrease. Earlier this week, roads and fields in Bavaria were severely flooded following heavy rains. In Austria, the situation remains critical in the eastern province of Burgenland and the southeastern province of Styria - where several towns have been flooded. In Romania, storms and strong gusts of wind avoided the capital of Bucharest but caused floods in two districts in the south of the country.